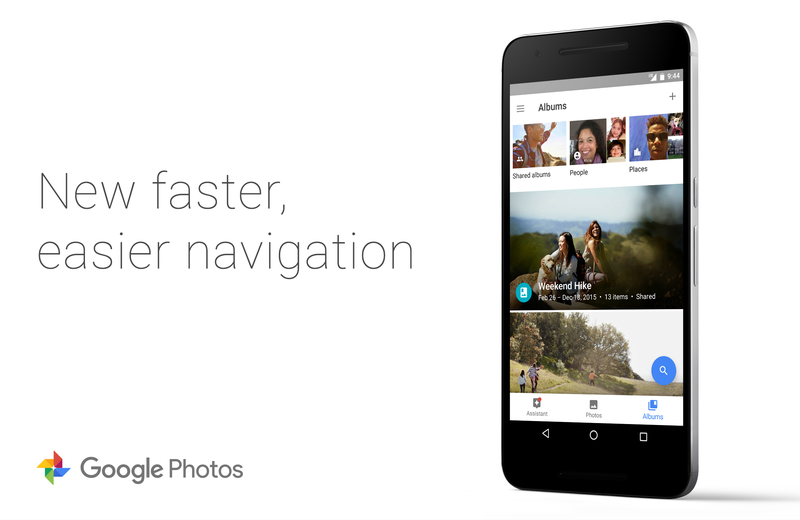 Google is rolling out a new version of Photos today, and it's a pretty significant update. There's a new navigation paradigm you might remember from a different Google app, and the strangely named "Collections" section is no more. It's now called Albums. As usual, we have the new APK available for download. According to Google, a bottom nav bar (similar to the one in Google+) has been added for faster navigation between the main sections of the app. You can't swipe between the three sections anymore, and the nav bar is static—it does not drop off the screen when you scroll (ugh). The G+ app did that too at first, then they changed it. Maybe Photos will do so as well. The other big change is the renaming of Collections to Albums, which Google says was done at the behest of users. The new Albums page has a scrolling carousel at the top of links to shared albums, people, places, things, animations, collages, movies, and device folders. You can get the new version of the app on APK Mirror right now. Otherwise, it'll hit devices in the coming days.